Caption: Hawaii’s Billy Kemper and Paige Alms earn 2017/2018 Big Wave Tour Titles. 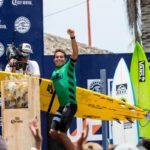 LOS ANGELES, California/USA (Wednesday, February 28, 2018) – Today, Billy Kemper (HAW) and Paige Alms (HAW) officially earned the World Surf League (WSL) Big Wave Tour (BWT) men’s and women’s titles for the 2017/2018 season. 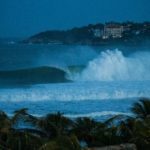 The 2017/2018 BWT season witnessed incredible performances from the world’s best surfers across three unique competitions — the Puerto Escondido Challenge in Mexico, the Pe’ahi Challenge in Hawaii, and the Nazaré Challenge in Portugal. 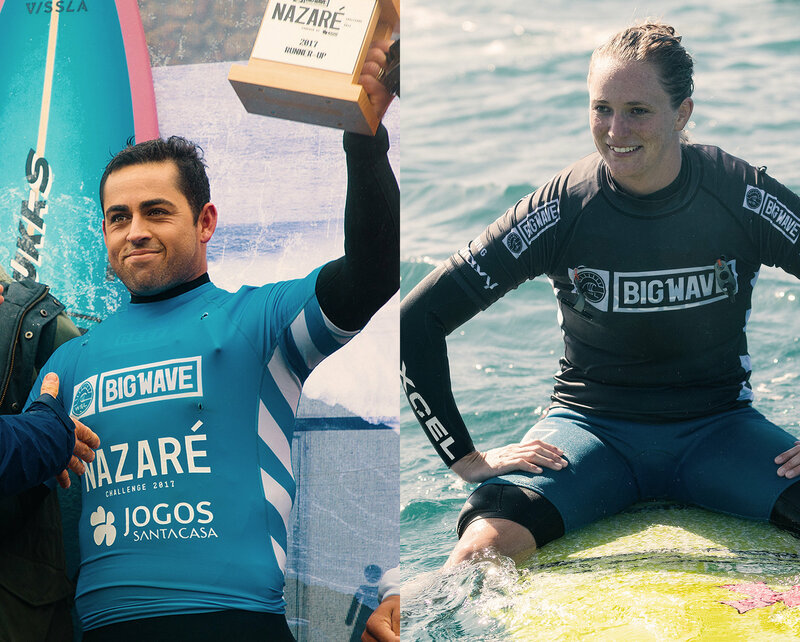 “Congratulations to our Big Wave Tour Champions, Paige Alms and Billy Kemper,” said Mike Parsons, WSL Big Wave Tour Commissioner. “Both of these competitors showcased groundbreaking performances this season in extremely challenging conditions. They truly demonstrate the commitment and courage required to compete and win at this level. 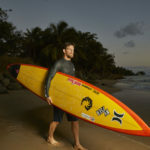 Maui’s Billy Kemper earned his first Big Wave Tour Title by making the Finals in all three BWT events this season, including runner-up finishes at Pe’ahi and Nazaré. 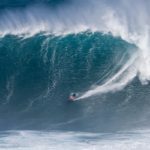 Over the past three years, Kemper has become a force on the big wave scene, most notably with his back-to-back Pe’ahi Challenge victories. In 2017, Kemper finished sixth on the BWT rankings but won the prestigious Big Wave Award Ride of the Year recognition for his incredible barrel at the Pe’ahi Challenge in 2016. The BWT Title race took a pivotal turn during the final event of the season, the Nazaré Challenge when Kemper’s second-place finish moved him just past Kai Lenny (HAW) for the rankings’ lead. Both Kemper and Lenny are leading the next generation of big wave surfers with their innovative and fearless performances in all conditions. Today’s achievement marks Alms’ second BWT title-clinching, after earning the Big Wave crown last year. 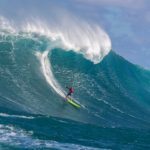 Alms successfully defended her Pe’ahi Challenge win in massive waves last October to take the Big Wave Rankings’ lead and further evidence her dominance at the infamous Jaws break. Alms has been charging big waves since she was 15 years old and now looks to be unstoppable amongst her competitors and against monstrous conditions. The Maui surfer earned the Women’s Best Performance recognition at the Big Wave Awards in 2017 after six-straight nominations starting in 2012. In addition to her big-wave pursuits, Alms was also featured in a 2015 documentary called The Wave I Ride, from director Devyn Bisson. The film portrayed Alms’ journey to the big-wave arena, including both her support system — specifically, her partner and shaper, Sean Ordonez, and her mother — and the odd jobs and training routine that she has juggled along the way. This year’s Women’s Big Wave Tour witnessed Alms win the Pe’ahi Challenge, with big wave legend Keala Kennelly (HAW) earning second place and Justine Dupont (FRA) in third. Alms and Kemper will be recognized at the WSL Awards on March 8 on the Gold Coast of Australia and the Big Wave Awards scheduled for April 28 in Southern California.